C. S. Lewis, a secret agent? 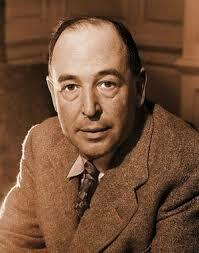 C. S. Lewis’s remarkable resume has just become even more remarkable! Now, we learn that in addition to being a novelist, apologist, lay theologian and brilliant lecturer, Lewis was also an agent for Britain’s ultra-secret MI6 early in WWII. Lewis’s service in His Majesty’s Secret Service has just come to light in an intriguing article written by Harry Lee Poe for Christianity Today. Dr. Poe made this discovery after purchasing an old 78 rpm recording from a dealer in Iceland—an eBay purchase no less. However Lewis came to the attention of MI6, it needed Lewis in the wake of the German invasion of Norway and Denmark on April 9, 1940. Though the British sent troops to Norway to counter the German invasion, it was too late to intervene in Denmark, whose subjugation was accomplished in only one day. One month later on May 10, 1940, German forces invaded the Netherlands, Belgium, and France, and by June 22 the French government had capitulated, leaving Britain to fight on alone. Though British control of Iceland was critical, Britain could not afford to deploy its troops to hold the island when greater battles loomed elsewhere, beginning with the struggle for North Africa. Holding Iceland depended upon the goodwill of the people of Iceland who never had asked to be invaded by the British. If Britain retained Icelandic goodwill, then Churchill could occupy the island with reserve troops rather than his best fighting forces. Dr. Harry Lee Poe’s fascinating article, “C.S. Lewis Was a Secret Government Agent,” is available online at Christianity Today. The Advent of Christ — Was it birth or was it death?